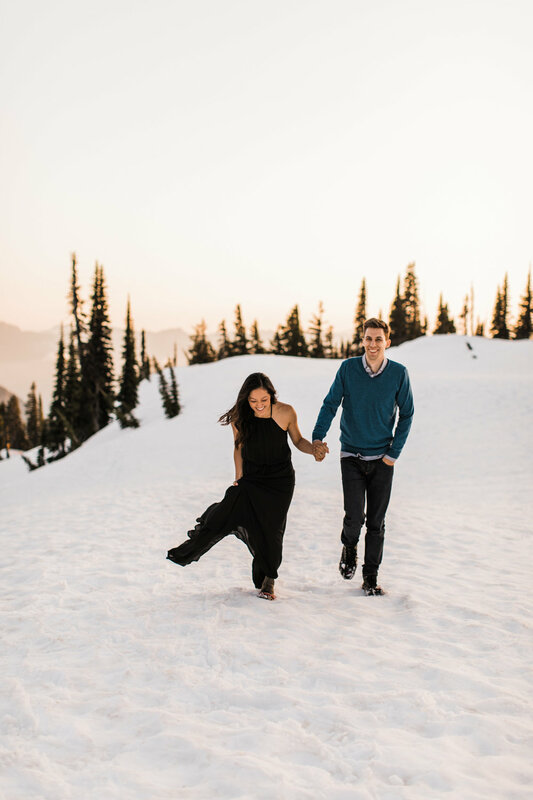 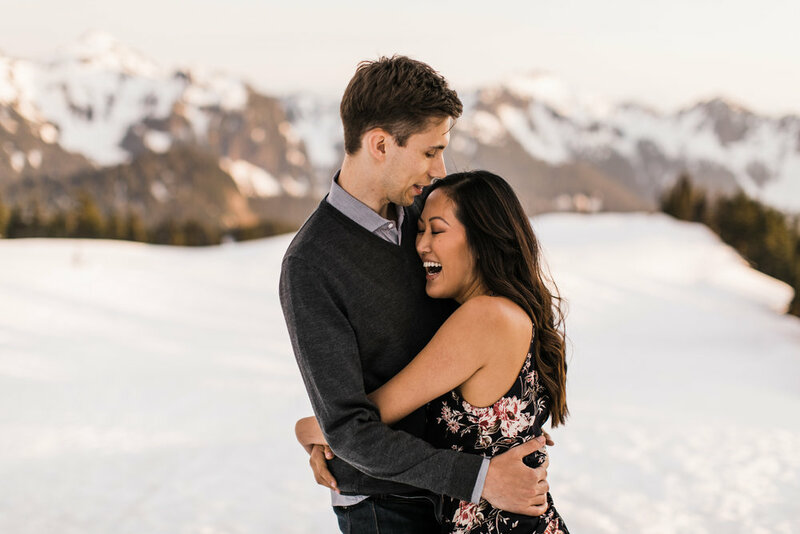 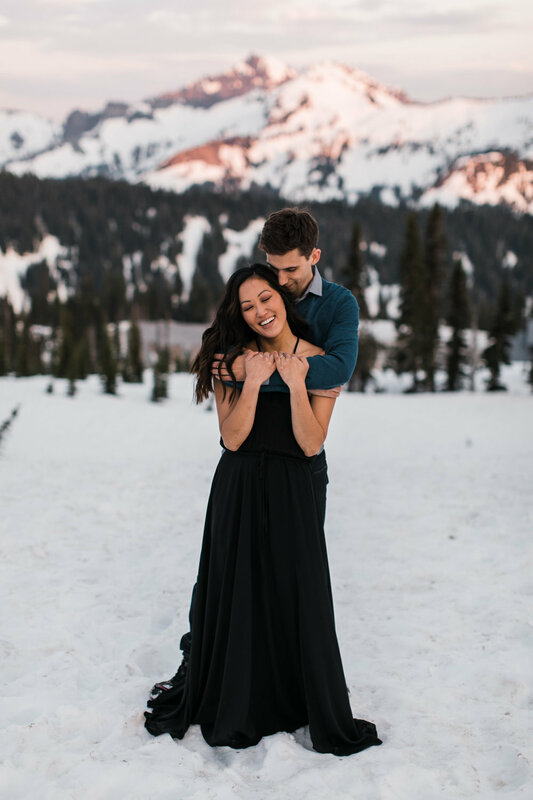 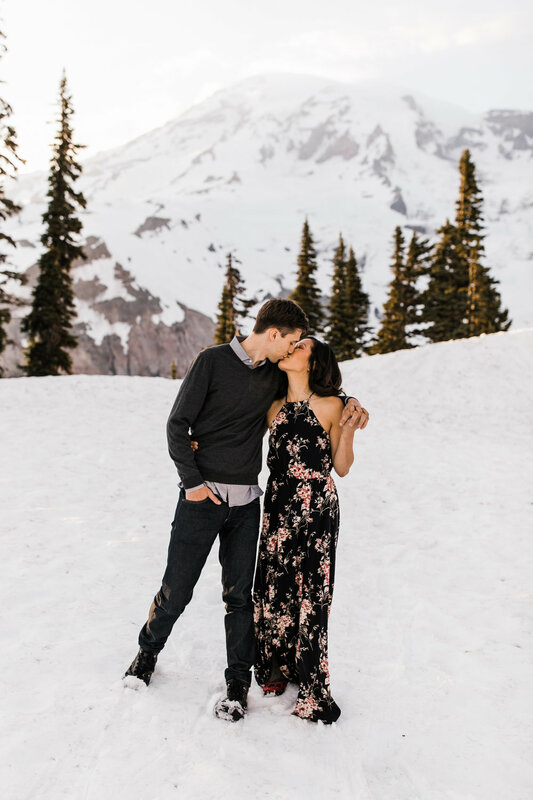 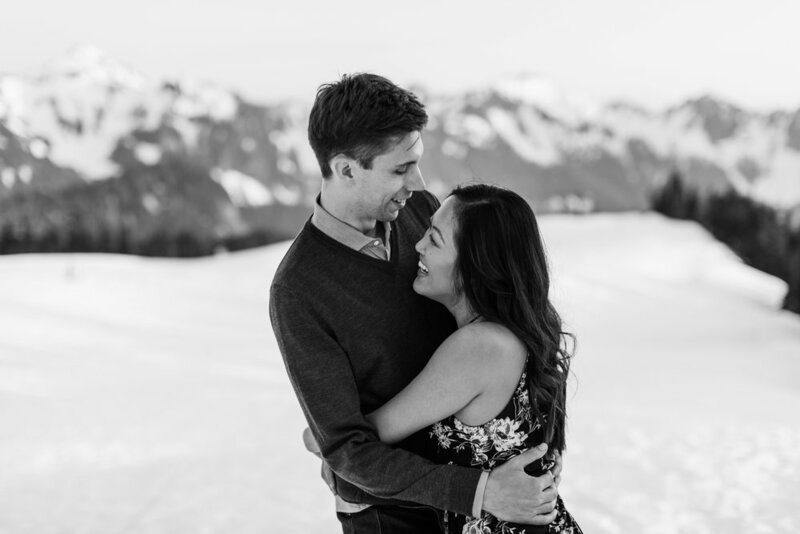 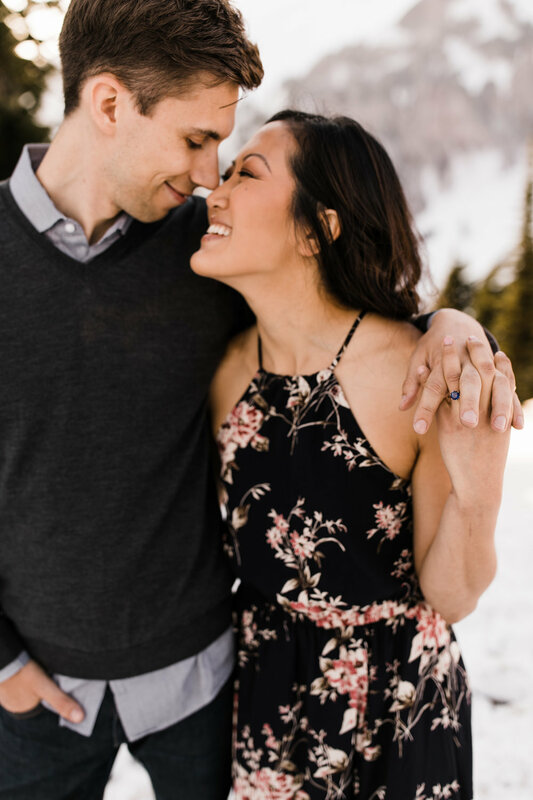 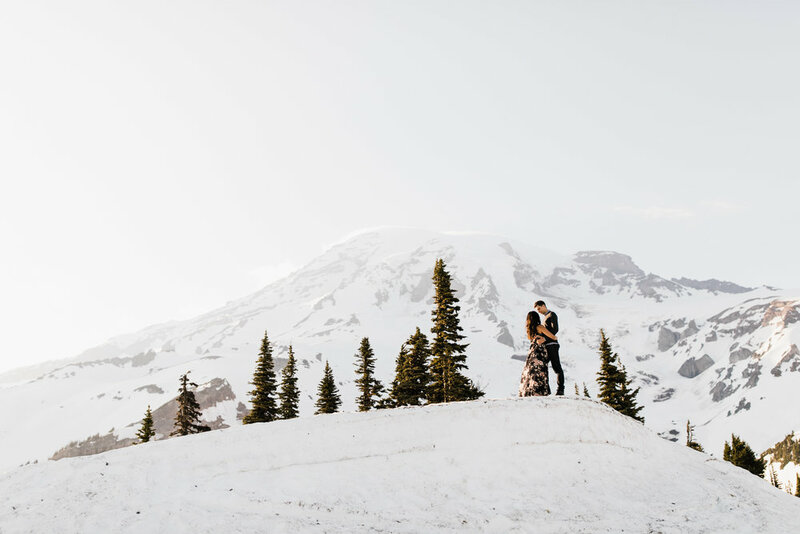 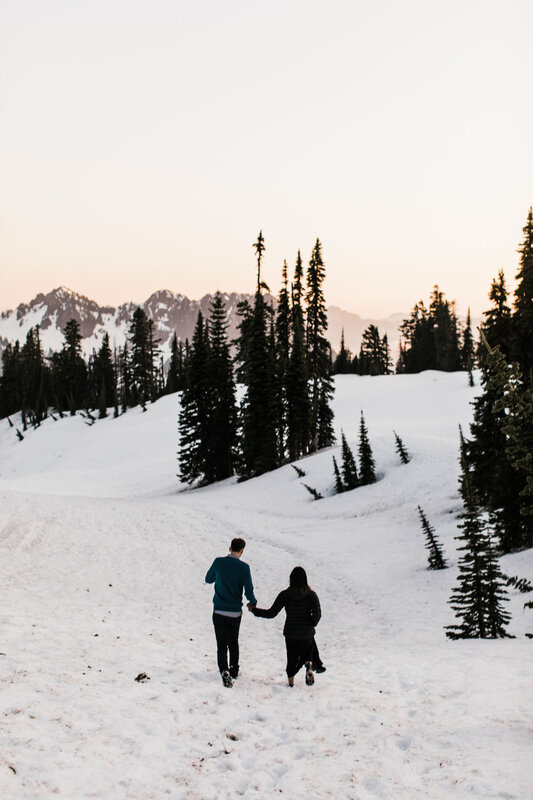 Stacey and Alec met up with us for their adventurous engagement session in Mount Rainier National Park just a few days before their wedding -- yes you read that right! 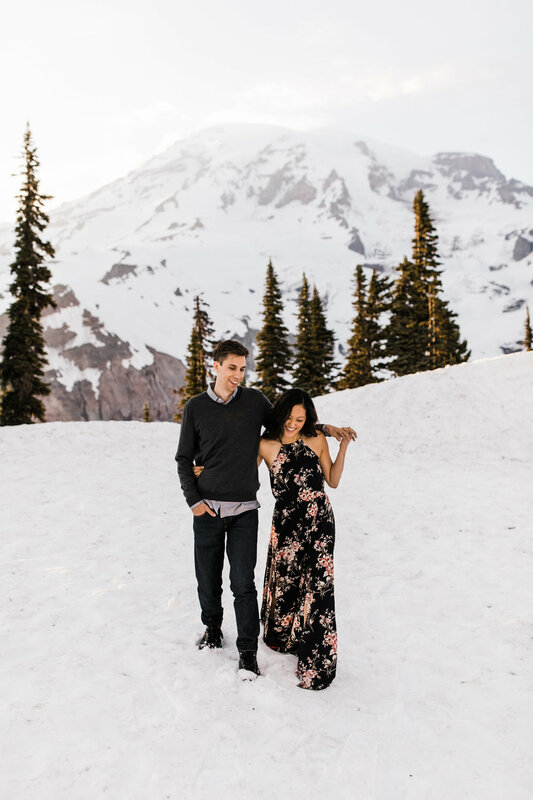 These two decided a big wedding wasn’t for them, so they had a courthouse elopement in Seattle with just a few guests. 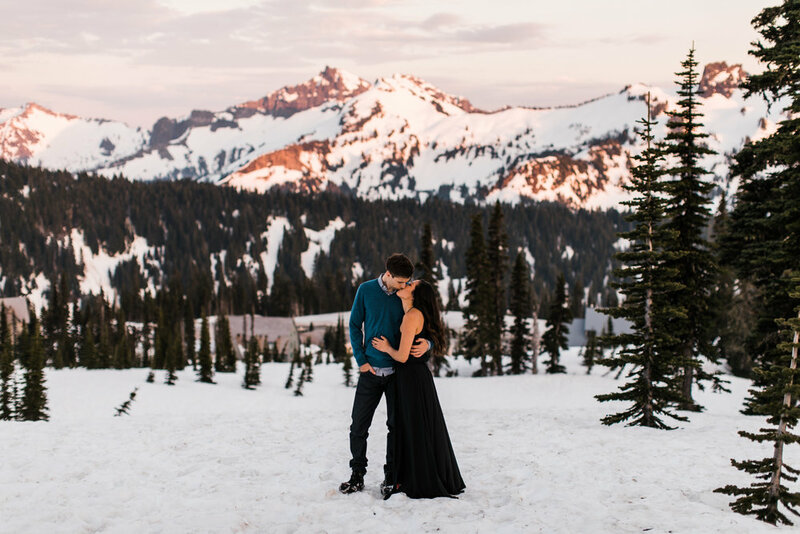 They decided to do an engagement session with us as a way to celebrate and still have some epic photos of the two of them in their element, the mountains. 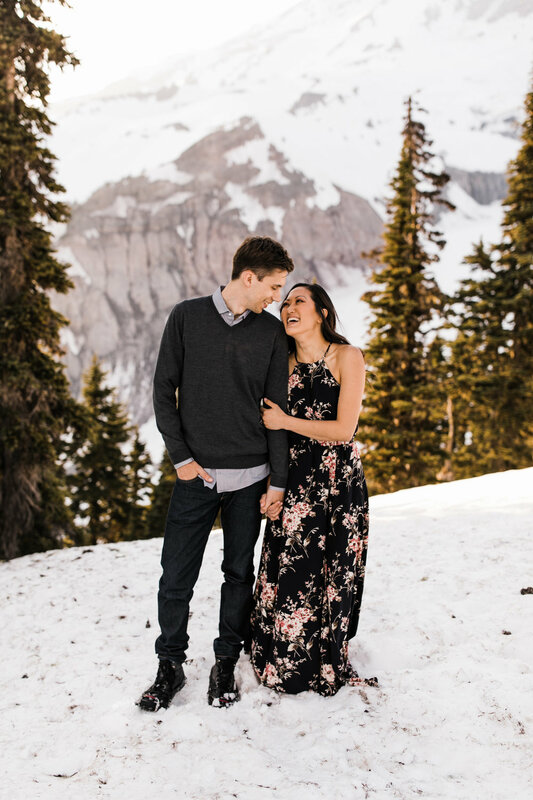 These two get amongst it, mountain biking, climbing, backpacking, snowboarding, and probably a bunch of other sports I’m forgetting. 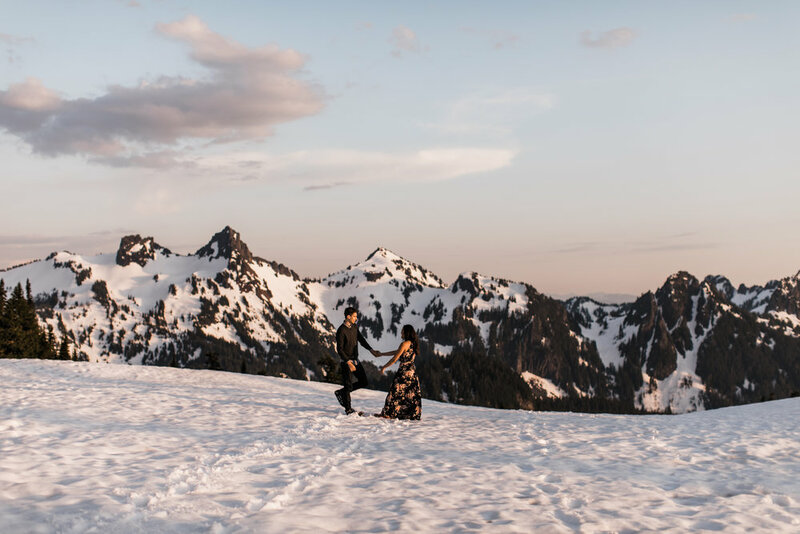 They are up for just about anything and didn’t hesitate at all when we recommended throwing on some micro spikes and hiking up the mountain for some photos at a rad spot we’d found a few days before! 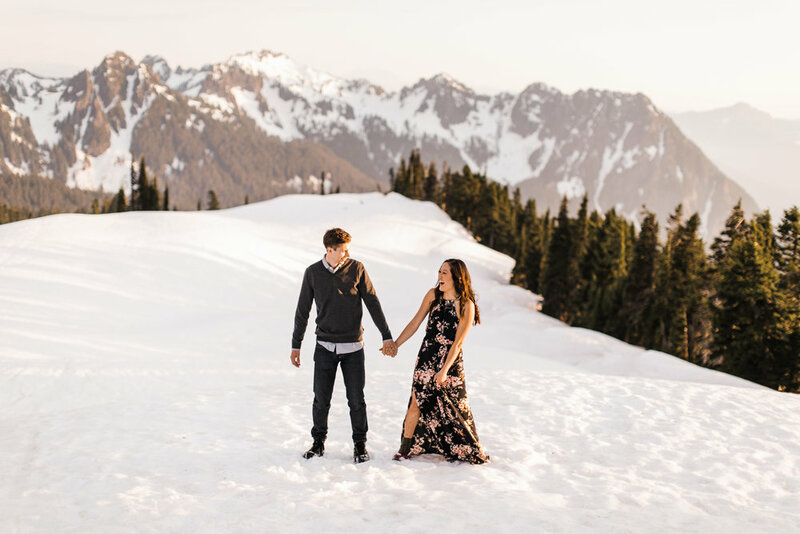 Stacey even pulled off a dress change in the middle of a snowfield up high. 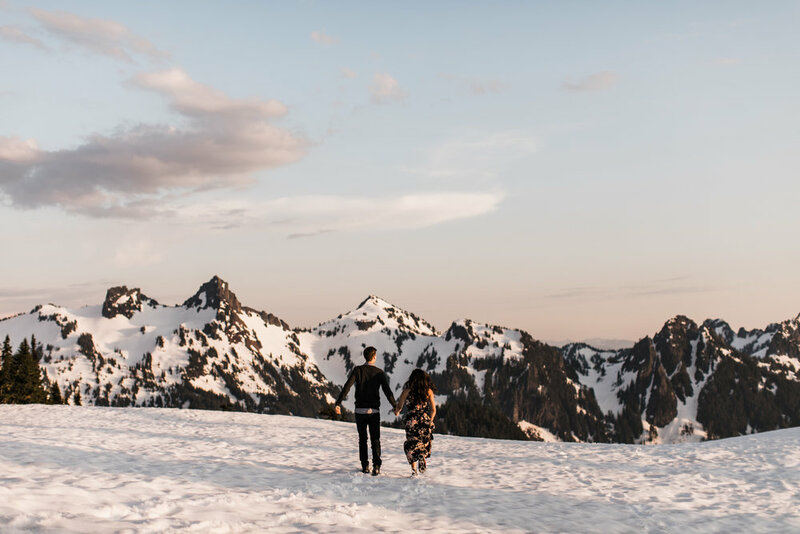 Side note: I’m always so impressed with our ladies hiking in dresses. 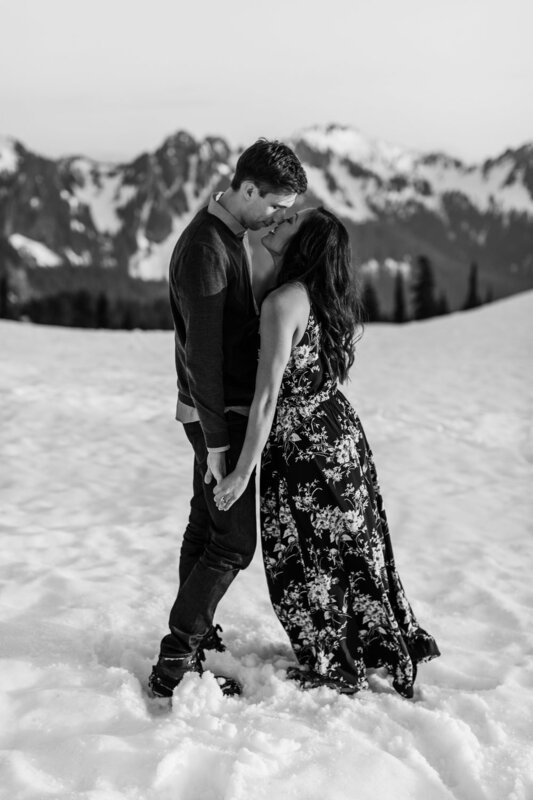 They’re the real badasses! 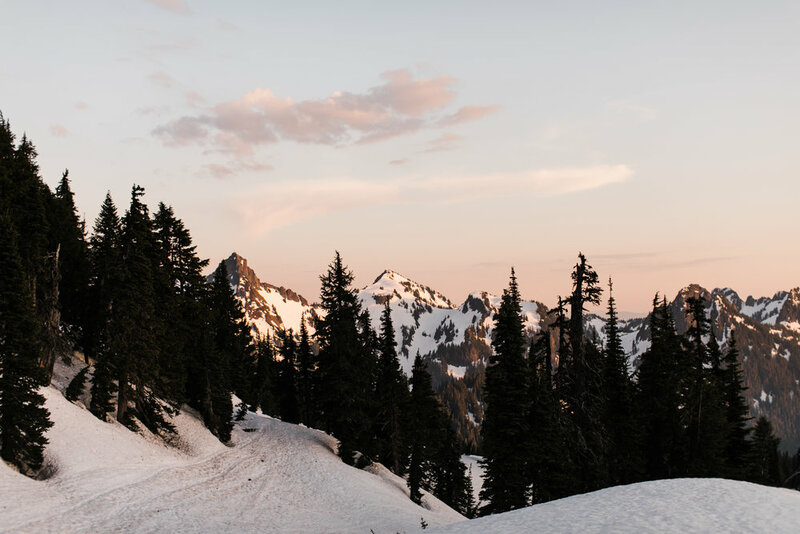 We had so much fun talking with them about adventures and slogging up the steep snow. 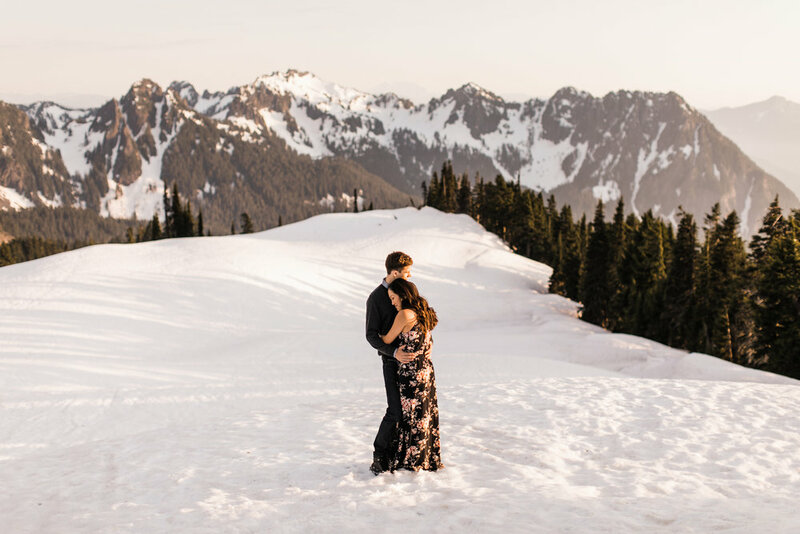 The views were totally worth it and gorgeous in all directions. 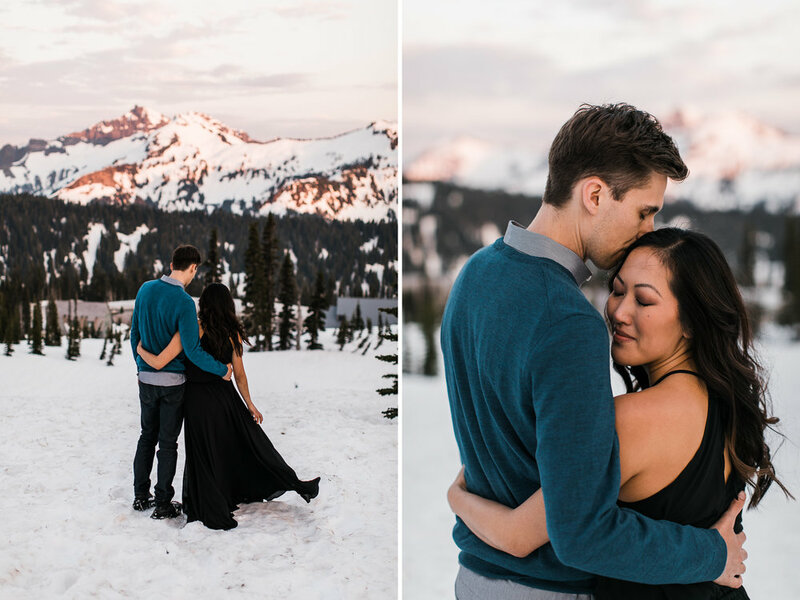 After some portraits at our high point, we made our way back down pausing what felt like every few steps because the sunset light and the ever changing views were blowing our minds! 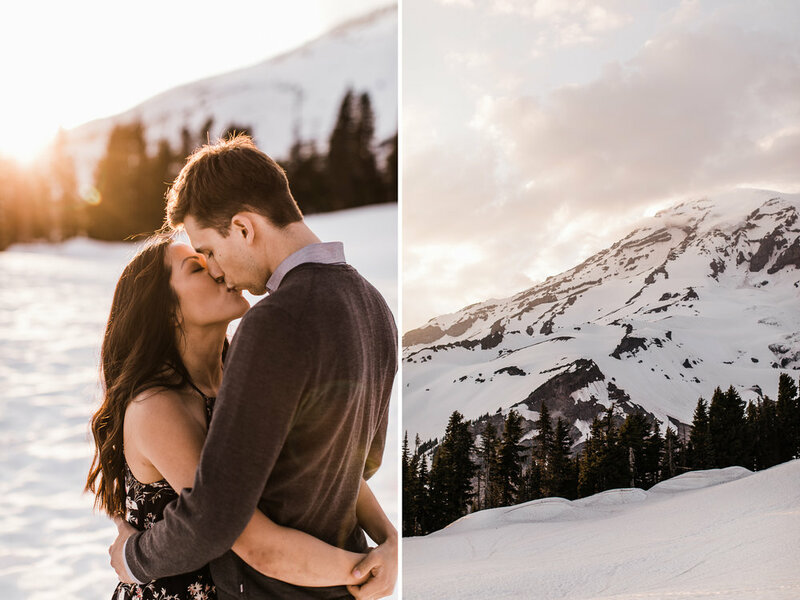 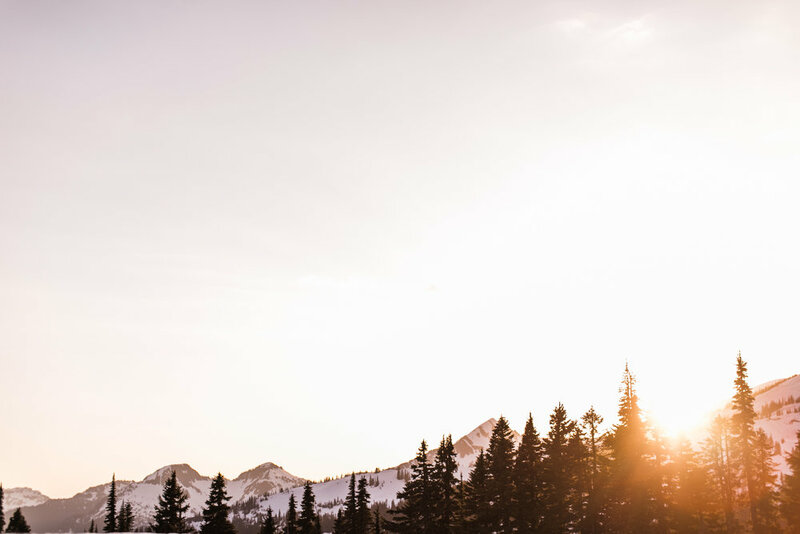 We ended their session up on a slope above the parking lot watching the gorgeous sunlight paint the mountains with orange and then pink alpenglow. 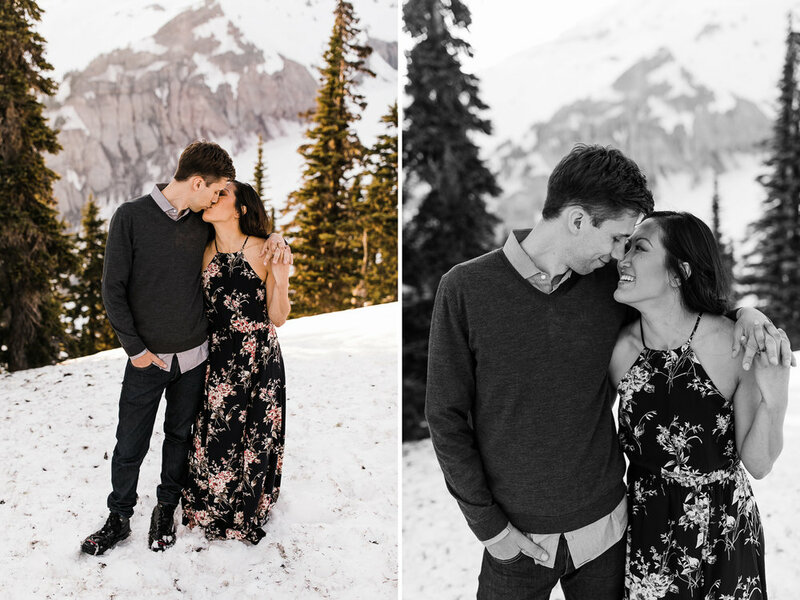 We absolutely loved getting to know these two and are pretty certain we’ll be meeting up with them at the local climbing gym next time we find ourselves in Seattle!